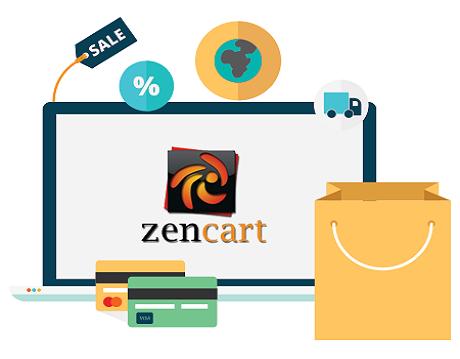 Zencart is 'Easy to use & Ready to move' E commerce framework. It provides a fresh structure style to the website. This add-on feature makes it one of the best CMS developing applications. The world famous PHP script used for the development of Zent cart and it has mysql has a backend. ZenCart Support in multiple currencies, languages, and tax structures. Zencart has become an important source for the online retail stores. Zen cart is multilingual that support ecommerce content management systems. Extra promotional highlights like discount coupons in the shopping cart. Regardless of the complexity of your E-Commerce shopping cart and size of your online store, ZenCart Web Development is the best way out for developing an online shopping store. We offer a full range of Zent Cart development services in Bihar. This online store is designed by our Zencart experts and projected well to the end-user. You can use your own domain, works with any hosting company and easily integrates your payment gateway only through our Zencart open source. It becomes a larger-than-life shopping cart solution for every consumer. We support your business also and not just store. We are a leading Zencart development company in Patna, offering zencart e commerce development solutions for the websites. We work in coordination with our clients and understand their requirements. Professional Zencart Developers with necessary skills and expertise on the Zencart framework. Authorize the business with top e-commerce applications. Our experts are continually making improvement and upgrades for zencart, so the risk is minimal.